People sometimes think that a construction survey and a land survey are the same thing, but there are differences. Land surveyors determine property boundaries, such as a property line survey. However, construction surveyors read and assess development plans to help construction companies determine where construction is the most appropriate. They stake outs sites to ensure that all factors of the construction site plan are accounted for so everything runs smoothly. These factors could include elements such as pipelines, underground utilities, fences, roads, etc. 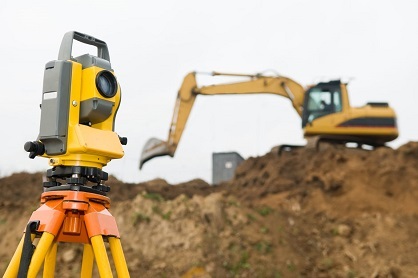 In essence, while a land survey looks at the land, a construction survey deals with all the other components in, around and under a construction job site. Call 704-445-2525 for your next construction survey. Any site survey in construction needs to be assessed before will can be provide a quote. The reason is not all construction projects are the same in size and scope. Some might be modest while others are very grandiose. The good news is Lattimore and Peeler can handle your project no matter what size it might be. To get your quote for your next construction survey, call or e-mail us. We'll be happy to discuss your survey project in greater detail by contacting us today.